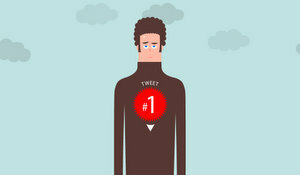 Tweet1 or Tweet #1 is a really cool and fast way to find the first tweet of a Twitter user. The service simplicity and ease is only topped by it’s visuals, and can really fulfill the curiosity of knowing what was the first tweet of a particular twitter-er, for instance, Jack Dorsey’s first tweet. If you are really interested in knowing the first tweet every time you visit the profile or tweet of a new twitter-er you just learned about, I suggest you add the bookmarklet to your browser. Tweet1 is the creation of Oisin Prendiville, and you can follow the updates of Oisin on Twitter @prendio2.